The purchase to pay software of choice for Global brands since 1999. 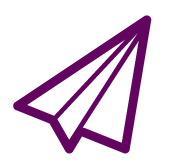 Are you fed up of emailing and phoning suppliers, chasing payments and often chasing your own tail? Do you find you have plenty of whizzy systems in place already, but not one that takes the lovely art of chasing, communicating updates and keeping things moving? 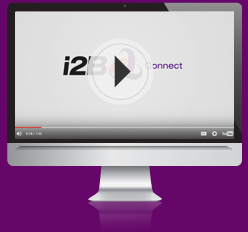 i2B Connect provides a streamlined approach to your supply chain management. 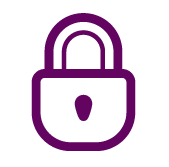 Offering full transparency, accurate real time information from any device at any time, all securely within the cloud. That’s where we step in. Our purchase to pay software integrates beautifully with all ERP systems, providing clarity, communication and full audit trails of your supply chain and it all takes place within the cloud. 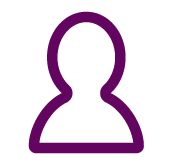 All your teams benefit from i2B Connect – procurement, accounts, finance and dispatch – your suppliers love us too as they simply login and update you with real time information. Let’s start moving things for you – simply, seamlessly and speedy. i2B Connect reduces your teams’ manpower requirement with supplier ‘self service’. We save you both time and money. There’s no need to chase suppliers any longer as i2B Connect will remind them what they need to do next. ‘All in one place’ reduces errors and improves communication. 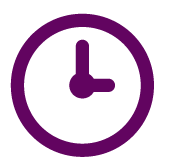 i2B Connect lets your suppliers see what you see – new and amended purchase orders, contracts, delivery schedules, shipping confirmations, overdues, drawing specifications, KPIs etc. Access real-time information and reporting at any time. Your purchasing team and your suppliers will see everything at the same time, increasing productivity and reducing errors. i2B Connect simplifies the processes of procurement. It seamlessly integrates with your ERP system and ensures speedy communication with your suppliers. Your global supply chain is in safe hands. i2b Connect has been translated into French, German, Spanish, Portuguese and Italian (but let us know if you need other translations, i2B Connect is dynamic and learns new languages very quickly). 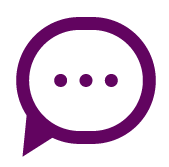 "Supplier has told us that they would not need to collect information by manual after using i2B, which has saved a lot of time & improved accuracy aswell." Many thanks for making my life easy. You're AWESOME - I say this with raised arms like Mel B would on American's Got Talent. I appreciate ALL of your efforts, we HAVE a solution. You have my vote for Customer Support of the Year. "i2B Connect saves us a huge amount of time and money which we used to waste on printing and then faxing RFQs, purchase orders and associated documentation. It’s also very good value for money for the service we get." 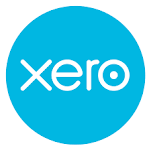 We have been using the Xero Supplier portal for a few months after continuing after the free 30 day trial. As we have increased the number of purchase orders we send out it is great to know that we no longer have to manually send out or chase the orders to ensure the supplier received them. The support desk helped guide through the whole process and it was a quick and painless process – something which is rare these days with IT. "Weir Valves And Controls USA successfully implemented i2B in 2018. The implementation process was very well managed by the i2B team. The response time to deal with any questions was extremely short and the ability & willingness to customize the system to our needs was very impressive. Our Supply Chain team and vendors have welcomed the implementation and we now have circa 80% of our purchase orders managed by i2B. I would definitely recommend i2B as it is a simple, stable and highly functional system that has brought great benefit to all stakeholders."